This is part 1 in the “How to Overcome” series that delves into how to deal with objections when you’re looking for new team members for your direct sales biz. 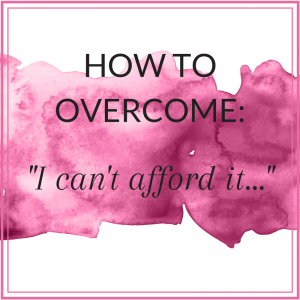 Part 2 for How to Overcome “I don’t want to be salesy or pushy“. If you have done any sales or tried to recruit people to your company, you will have heard this. It’s such a common sales objection that if you haven’t heard it, you haven’t been selling! And even when you’re recruiting, you’re selling. You’re “selling” the business opportunity. You’re selling a lifestyle. What are people really saying? They genuinely can’t afford it. Sometimes people really don’t have the money to join your business or buy a high-value item even though they would like to. If someone is genuinely interested but really can’t afford your offer, keep them as a lead. You could ask when a good time is to contact them again and schedule a follow up that suits them better. In fact, you could still make your offer, saying something like: “That’s okay, you don’t have to join right now. I’d still like to share the business opportunity with you for the future. How about we have a coffee and a chat?” This is a low pressure conversation (because you’ve already agreed they don’t need to join right now) and could lead to a future recruit. More importantly, if the real reason was number 2 or 3 and they do agree to your coffee-and-a-chat proposal, you now have a second chance to present the value of your offer and change their priorities. You haven’t made the value of your offer clear to your leads and they’ve told you that they ‘can’t afford it’. When you present your offer, you need to find a way to present the benefits that will appeal to your leads. If you do get another chance to speak with your lead, ensure you listen. You want to enrich their lives with your offer, so find out where it is that your offer adds value to their lives. If they can’t see the value, they won’t buy (or join). And if your offer doesn’t add value to their lives you have no business selling to them. You want them to tell you what’s holding them back, so again good listening skills come into play here. Especially if they haven’t fully articulated the worry or concern to themselves, let alone to you. Once they tell you their concern or worry, you can address that. As you can see, it’s vital to listen carefully to what people tell you so you can find out the real reason behind the objection. You don’t have to be a sleazy salesperson to be a good seller, in fact don’t be. But, to be great at selling, you need to be great at listening. Recruiting is a skill that you can learn! 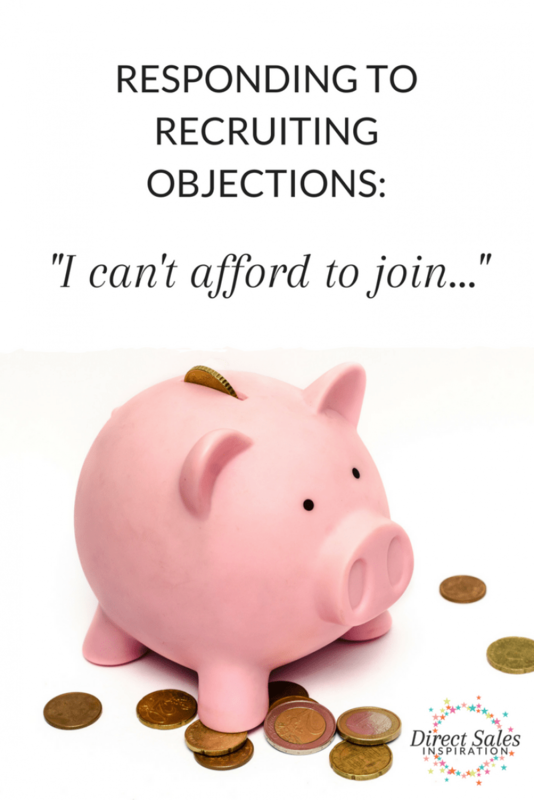 Recruiting or sponsoring can be daunting… What do you say? How do you bring it up? When they show an interest, how do you follow up without being pushy? 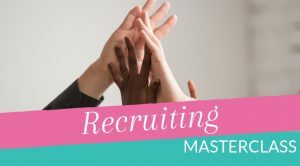 In 8 Modules, the Recruiting Masterclass will teach what to say, what to display, what to play, how to find potential team members outside of parties, online recruiting events, how to overcome objections, how to warm up your leads and how to follow up! Recruiting is a skill that you can learn, even if you think you don’t have it in you!